The YouTube channel of Cubadebate [es] was taken down on January 12th, due to copyright infringement claims on a video of Cuban terrorist suspect and former CIA operative Luis Posada Carriles, who is currently on trial in a US federal court in El Paso, Texas. According to a Cubadebate post from January 6th [es], the video shows a clip of a court appearance in Miami by the Legal Fund for Posada Carriles. Denunciamos enérgicamente ese atentado a la libertad de expresión de un sitio alternativo en un país bloqueado…[Cubadebate es un] sitio que no puede comprar en exclusiva materiales producidos en Estados Unidos, particularmente aquellos que revelan la impunidad de los terroristas en Miami y que, por esa razón, son relevantes para nuestra producción informativa. We fervently denounce this threat to freedom of expression of an alternative website in an embargoed country…[Cubadebate is] a website that cannot buy materials exclusively produced in the United States, particularly those that reveal the impunity given to terrorists in Miami, and which for this reason, are relevant for our informational programming. Yohandry's Weblog [es] reported that the video remains accessible on the YouTube channel of Mambi Watch, a Miami-based blog that covers Cuban culture and politics in Miami, and keeps a critical eye on groups that maintain an extreme, militant anti-Castro agenda. But the video posted here, which shows Posada outside of Miami’s Versailles Restaurant with a large group of supporters (including Florida state Rep. David Rivera), does not contain a court scene. 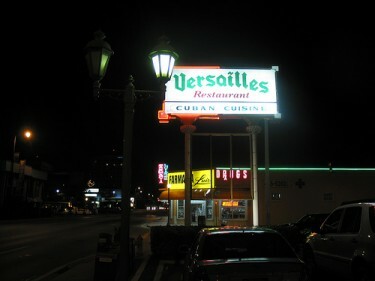 Versailles Restaurant in Miami. Photo by noway. Attribution-NonCommercial-ShareAlike 2.0 Generic (CC BY-NC-SA 2.0). Although the statement issued by Cubadebate suggests that US foreign assets controls (FAC) prevent Cuban organizations from obtaining copyright permissions for media created in the US, there are special provisions in embargo legislation for intellectual property. Bill Clinton’s administration created an exception in FAC regulations that allows for transactions to take place between Cuban and US intellectual property owners. But it is likely that a news organization like Cubadebate would not have access to the infrastructure that would facilitate this kind of transaction. The legal circumstances of the situation remain less than clear. But it may be that the political firestorm surrounding the Posada trial motivated the video's owner to file the copyright infringement claims. Shortly following the takedown, Twitter was alive with protest by advocates of free expression, and Cubadebate. Es lo último que faltaba que el imperialismo se quiera adueñar de Internet es el colmo y después hablan de Libertad de Expresión. The last thing [we need] is for imperialism to want to own the Internet…and then they talk about Freedom of Expression. Though the content of the video is not especially revealing (it is widely known that Posada has a strong support network in Miami), the owner of the video may have seen this as an opportunity to inflict damage on a widely-read government site. The current Posada trial has elicited widespread anger in Cuba. Posada was the alleged mastermind of the 1976 bombing of Cubana Flight 455, which killed 73 people, as well as a plot to bomb several Havana hotels in 1997, which was never carried out in full, but did cause the death of one Italian tourist. Yet he is being prosecuted for committing perjury in a 2005 US deportation hearing in which he denied his role in the hotel plot, and denied that he had confessed his actions to reporter Ann Louise Bardach, who has released audio recordings of his confession to the court. Cubans and non-Cubans alike are indignant about the US prosecutor’s seemingly deliberate negation of the central issue at hand. This highly controversial event has fueled fervent debate in Miami and Havana, and may have a signficant impact on US-Cuba relations in the future. 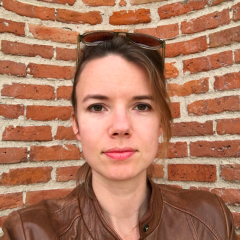 Juan Tamayo of The Miami Herald is covering the trial from El Paso, and Tracey Eaton has provided excellent analysis of documents relevant to the case (from both the Cuban and US governments) on his blog, Along the Malecón. Google has not yet made a formal statement regarding the takedown of Cubadebate's channel. Cubadebate supporters continue to advocate for the channel's reactivation, and argue that Google should re-evaluate the decision to take down the entire channel, rather than only the video in question.